The Banbury Towel Ring highlights a timeless nostalgia for traditional versatility and sets a tone that is both classical and sensible. This item's proximity to the sink and faucet makes it an important visual element in the bath. Not only does it keep hand towels handy and decorative towels displayed, it's the starting point for pulling the design motif from the lavatory across the rest of the room. The Rothbury(TM) line offers a relaxed blend of vintage design and traditional elements that coordinates perfectly with both casual and luxurious decorating styles. A modern twist on a traditional towel ring, these smaller sized bars are perfect for the space conscious. 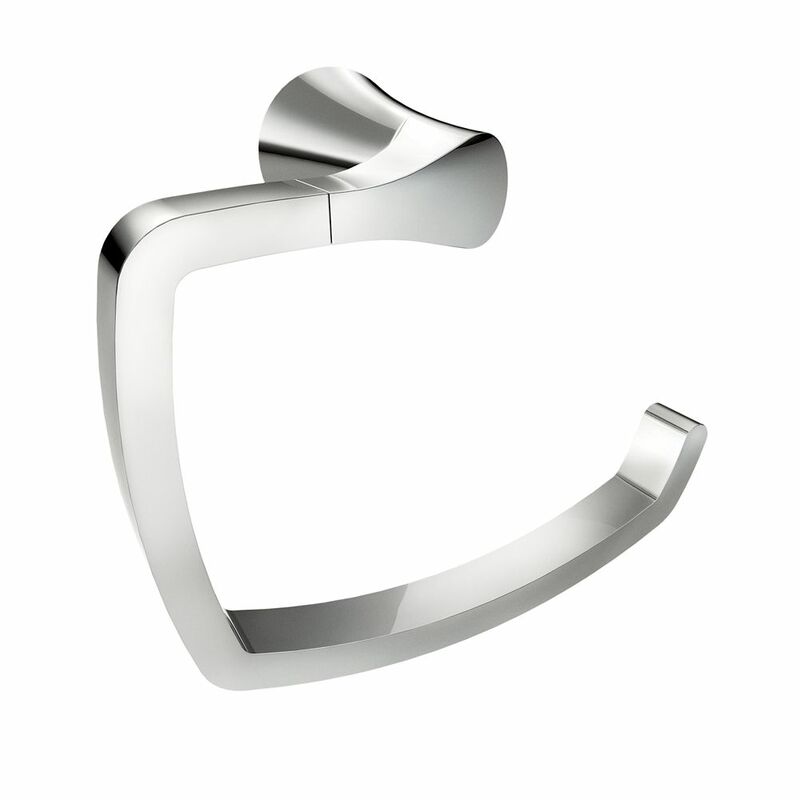 Danika Towel Ring Chrome Update your bath with the Danika collection. Each piece features clean contemporary lines with a soft edge for a sophisticated look.